Many customers have unfortunately experience price increases, mostly from the big six energy companies which have increased bills by around £100 this year alone! Not to mention the fact that some customers could already be saving £400 by switching right now. This guide will tell you about EnergySeek, how switching works and some of your frequently asked questions, answered. For the first step, you need your postcode. Well, energy tariffs usually vary depending on your region, so only specific plans will be available to you. The second step requires information about your current supplier. You can either take a look at your recent bill or if you have just moved in you could ask the previous owners or the real estate agent. Take a look at this quick guide to find out more about how you can find out who your energy supplier is. For the most accurate quote for your energy, you need to take the usage from your bill and plug it into the section about how much kWh you use. Now, you need to choose what kind of a tariff you’d like. This includes filtering tariffs by what you’re looking for, such as viewing monthly direct debit tariffs. Choosing the right deal for you has a lot of different factors to consider. For instance, while some people might want the cheapest deal, other people might value having stellar customer service which they are happier to pay more for. Also, do you want a green deal? These are often better for the environment, and they can sometimes be cheaper than other deals. Make sure you look through all the tariffs that are available to you. Once you have decided on a tariff that is best for you, now you can click through to the next section. There are a few more details typically required to complete your switch. Next, your information will be sent to your future energy supplier who will arrange the switch. You’ll receive an email telling you about your switch, including any contact information you might need to ask any questions. You can also contact EnergySeek with any questions you might have. Thankfully, the actual switching process doesn’t require for you to do much at all! Within a month you will get notified about your switch, and given a transfer date. On this day, you will need to take a meter reading. This is then passed onto your old supplier, so you will be given a final bill or return any credit owed to you. You shouldn’t need to contact your old supplier, so no awkward phone calls or stressful hours on hold. Your power won’t be interrupted; no one will come to your home unless you need a meter changed and there’s no need for any new pipes! In other words, this process allows you to shop around as regularly as you like, without disrupting your life. Take a look at the EnergySeek comparison tool above to get started. Years ago, switching may have been complicated and stressful. However, regulations are now protecting you as the customer from this stress, so your new supplier will take care of everything for you. Energy suppliers have a 14 day cooling off period where you can cancel your switch without a fee, so energy companies do not do anything during that period. After that, however, it can take around four to six weeks to complete the switching process. Energy suppliers will keep you updated on your switch. Aren’t all energy suppliers the same? 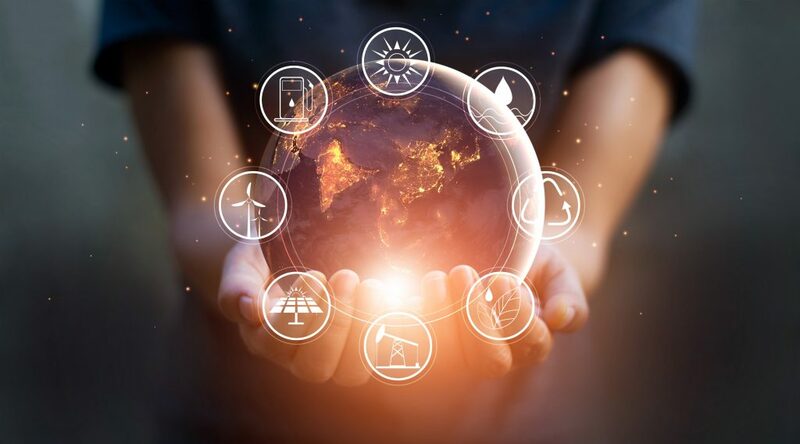 Many energy suppliers are almost identical in specific ways as they receive their energy generally from the same place, with a few green energy exceptions where companies invest in renewable energy generators. However, it’s not all about costs. Many customers say that customer service is more important than the price of the tariffs, which many customers say they are happy to pay a bit more to stay with a helpful and considerate supplier. Can my tariff come with me when I move? Some suppliers will allow you to take your cheap tariff with you when you move, but you need to get in contact with your supplier first and check. You should also check the rates in your new area (with a postcode if you have it) as energy is charged differently depending on your location. Once I switch, will my supplier tell me if my price rises? Unfortunately, your price is predicted to rise between 30% and 40% in the next five years, unless there are some massive changes politically in the world. However, your energy supplier has to warn you about these price rises with a minimum of 30 days notice. Check out the top switching services to see if you can save.